So you know you can eat your way to good health, and run to get in shape, but what if we told you getting jiggy with it is one of the most effective ways of toning your tum or building those biceps? 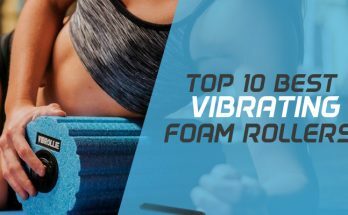 Once thought of as a fad, vibration platforms are back, and this time they’re backed by science and use the latest technology. They’re perfect for people who are too busy to fit in hour-long sessions at a gym and who want to see results in a shorter space of time. And if you want to burn fat or tone muscles in the privacy of your own home. Sound like you? 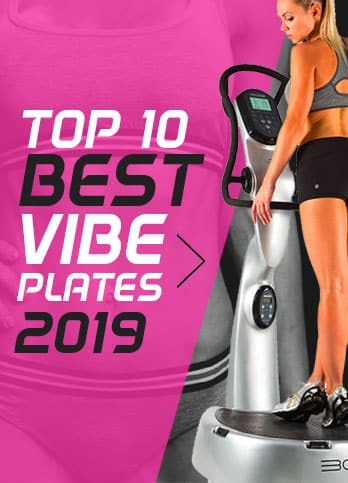 There are a lot of vibration platforms available on the market, but the JUFIT plate isn’t only effective, it looks good. We love the modern gold color, the streamlined shape as well as the LED display that shows time and speed. 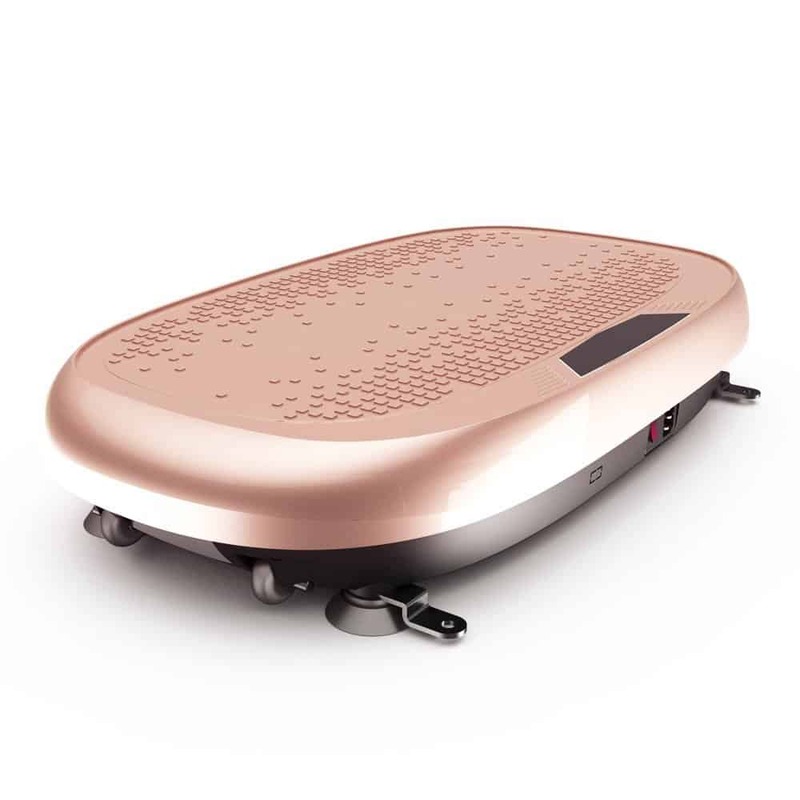 It weighs around 33 lbs, and the compact size means it can be used anywhere and stored away quickly and easily. The JUFIT has a weight capacity of 330 pounds, allowing people of all shapes, sizes and fitness levels to use it. 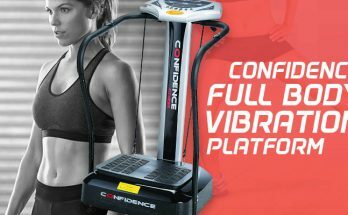 You can use the JUFIT vibration platform on its own, or you can combine it with an aerobics workout to get the cardio and respiratory benefits. There are 199 different speeds, as well as a remote control and two elastic ropes to work your upper body. Using it is straightforward, with Power, Program, Start and Stop buttons, as well as three preset programs. You can also adjust the speeds manually. For noobies, you simply stand on the platform and slowly increase the speed. You will experience some discomfort, which means it’s working. As you get more comfortable with the plate, you can change your positions and posture to achieve different results. If you’re already in decent shape, you can use it before or after resistance training or cardio workouts to warm up your muscles quickly. The type of workout and impact is determined by the position of your feet on the plate. So, if your feet are close together it’ll feel like a walk, slightly apart is a jog and for a run, they should be wide apart. You can train thighs, calves, abs, as well as your core and if you use the elastic ropes, you get a full body workout. And it’s not just for standing; you can use the platform for push-ups, seated or in the creep position. Unlike traditional exercises that need half an hour or even an hour, only ten minutes a day on the JUFIT will get you looking and feeling better. Of course, it goes without saying that to achieve maximum results, you should follow a healthy eating plan and combine the plate with other routines. 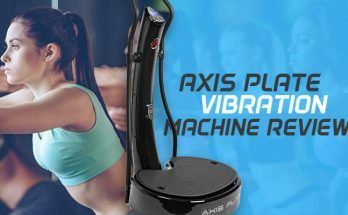 The JUFIT Vibration Platform is an affordable and safe way to get your body feeling healthy and looking good. It’s perfect to use at home, in front of the TV, or in your office and can be stored easily when it’s not being used.